Our crew wanted to make sure that you made the best possible buying decision if you were in the market for a used car. Consider these tips before making that purchase. Be certain you ask the seller for the vehicle history reports. These reports are going to reveal anything about the used car that may have you concerned. If the vehicle suffered damage from flooding or an accident, you will be able to see the extent of that damage and then make the best buying decision based on that information. With a used car, you'll be able to take advantage of favorable financing. Not only could you get a better interest rate, you'll be able to get a lower price which can help drop those monthly payments down on the car too. 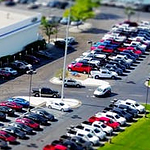 Stop by The Car Store and test drive any of the used vehicles we have on the lot.